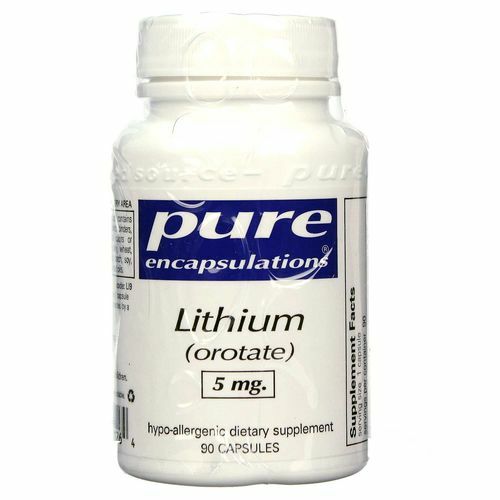 For a sharper memory and improved overall emotional wellness, get Pure Encapsulation's Lithium Orotate. 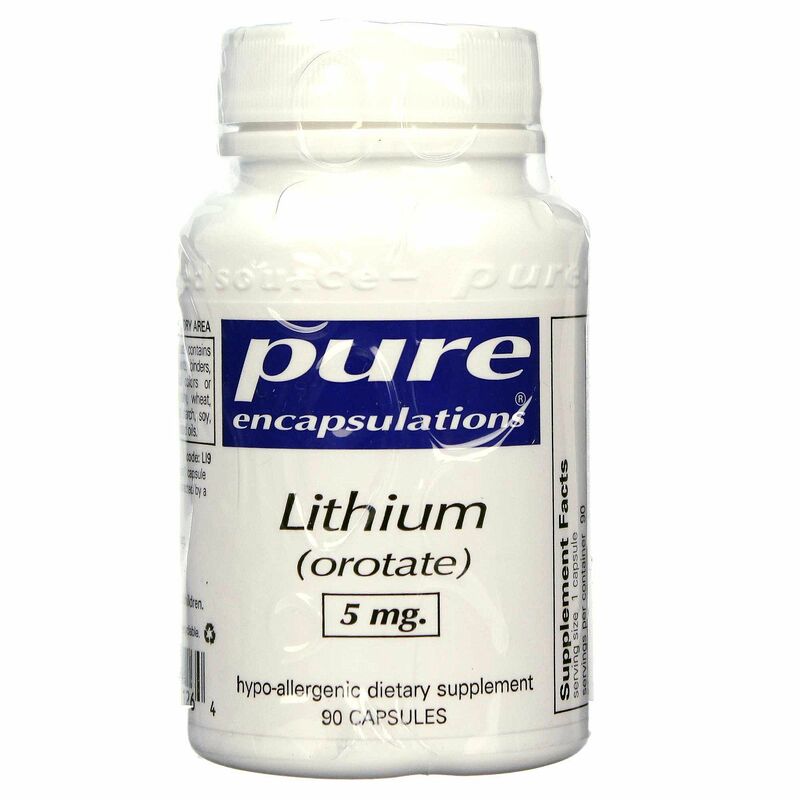 Pure Encapsulation's Lithium Orotate can play a substantial role in healthy mental function. 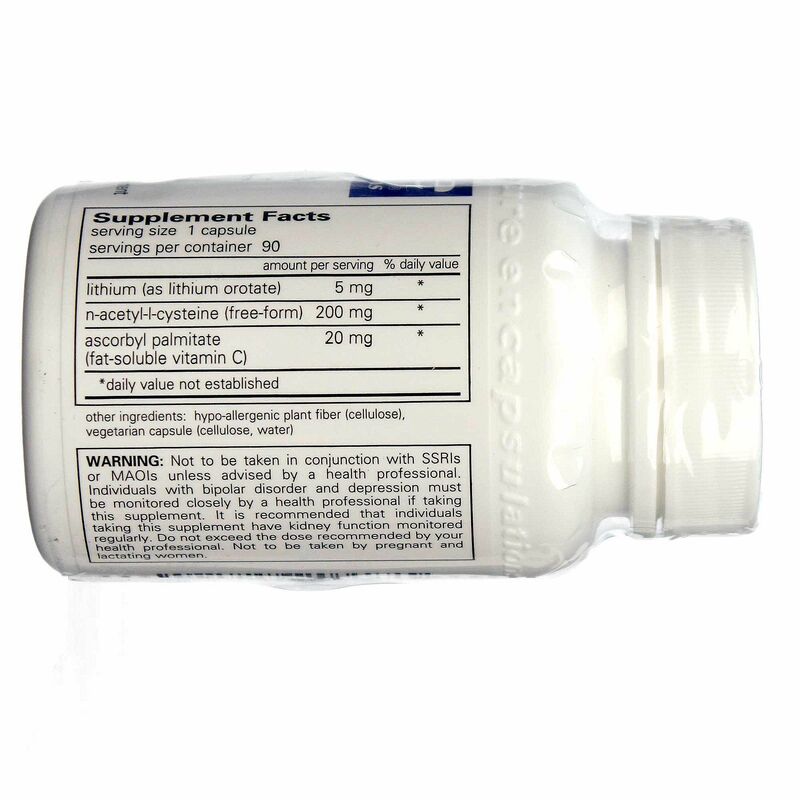 Lithium is an essential micronutrient naturally present in all tissues and organs in the body. It affects dopamine and seratonin neurotransmitter activity (happy hormones) and can supply important antioxidant protection. Lithium Orotate is also free of common allergens and gentle on the system. With just one capsule a day, you can improve your memory and your mood to feel your best. 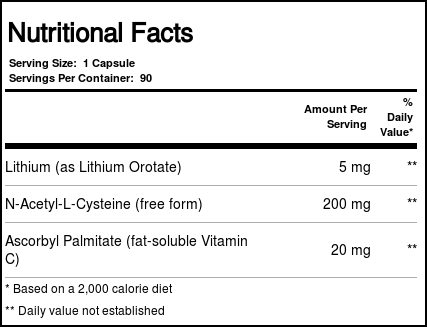 Try Pure Encapsulation's Lithium Orotate at eVitamins today and pay less! Warnings: Keep out of reach of children. Use only is safety seal is intact. Not to be taken in conjunction with SSRIs or MAOIs unless advised by a health care professional. Individuals with bipolar disorder and depression must be monitored closely by a health care professional if taking this supplement. It is recommended that individuals taking this supplement have kidney function monitored regularly. Do not exceed the dose recommended by your health care professional. Not to be taken by pregnant or lactating women. Notes: Store sealed in a cool, dry place. Contains no hidden coatings, excipients, binders, fillers, shellacs, artificial colors or fragrance. Contains no dairy, wheat, yeast, gluten, corn, sugar, starch, soy, preservatives or hydrogenated oils. 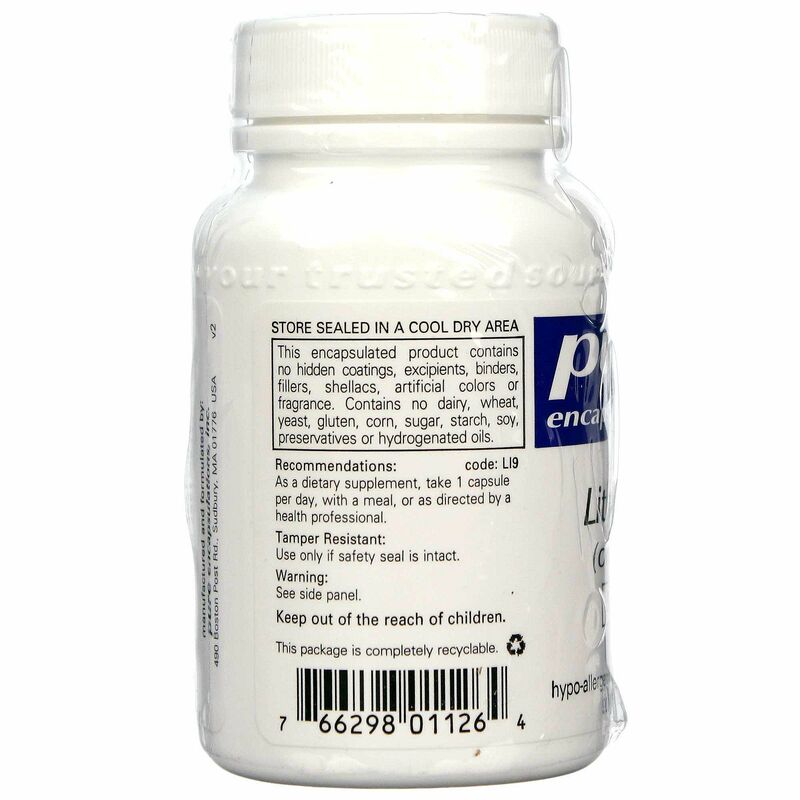 Recommended Use: As a dietary supplement, take 1 capsule per day, with a meal, or as directed by a health care professional.